John and Danny go back a long, long way to the late 1960s. I asked Danny how they came to meet,”I met John out in Newport Folk Festival [Rhode Island in the USA] when I was with Pentangle, and he said do you fancy getting together?” John has a different recollection “I can’t remember how I met him now, I think I might have met him at a place called The Three Horseshoes in the very early days of The Pentangle in Tottenham Court Road. I think I met him there once or twice and we liked each other. He was probably just high for the session and ever since then we just got on like a house on fire. Great bloke.” It’s just as well that I didn’t ask John and Danny when they were together as there is no doubt that a vigorous but good humoured debate would have ensued! Wherever they met, John and Danny soon forged a close friendship that continues today. To John and Danny music should be spontaneous, it comes from within and is an expression of what you feel, there and then. No two performances are ever the same. 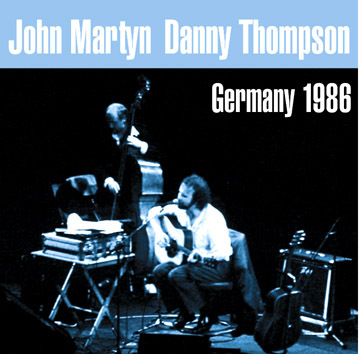 This live recording from Germany in 1986 sees John and Danny playing a selection of songs from John’s 1970s albums, along with two newer songs Sweet Little Mystery (Grace and Danger, 1980) and Angeline (Piece By Piece, 1986). Never taking themselves too seriously, these outstanding musicians still find the time between songs to indulge in some good humoured banter, unfortunately for Danny he didn’t have a microphone! Such a tremendous performance makes it impossible to seize on one outstanding moment of brilliance. Bless The Weather is segued with Beverley and then Beverley with Make No Mistake and sees Danny and Victoria (as Danny affectionately calls his double bass) exploring the full acoustic range from deep to springy light notes and with some tremendous bowing on Beverley. John’s vocal outpouring of emotion on Make No Mistake and his flowing almost tidal voice on One World take the listener from a tangled web of emotional conflict to an almost hypnotic state of inner contentment. There’s a rousing rendition of I’d Rather Be The Devil and then the spacey and transcendental Outside In, about which John told me “It’s my attempt at spirituality.” An attempt! 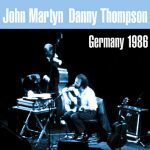 John Martyn and Danny Thompson are two of the most innovative and talented musicians the world has known. There is a magical understanding between them and that magic coupled with their enjoyment and enthusiasm for music is captured on this recording for all to hear.